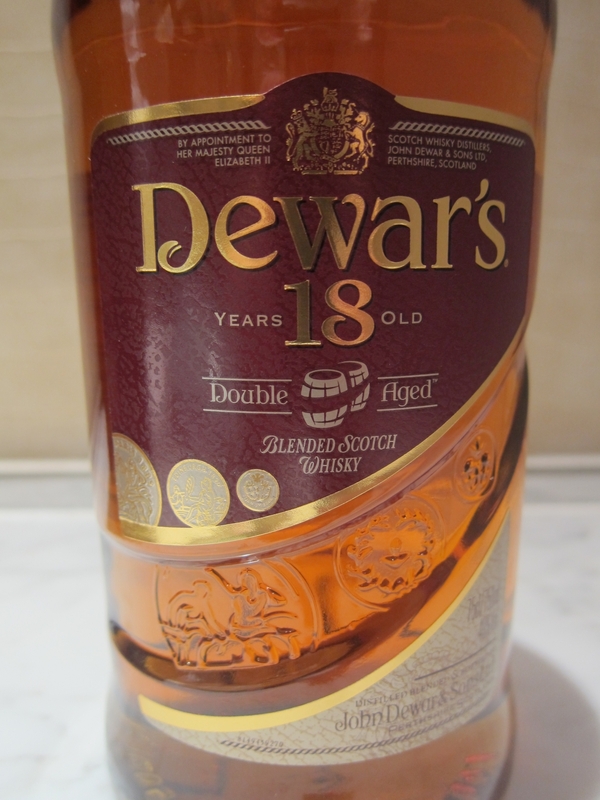 Dewar’s 這威士忌品牌的中文名字, 我一直不明白為甚麼會叫作帝王. 還是算了吧, 這還不是有不在雲頂的 Springbank, 沒有騎士的 Highland Park…. 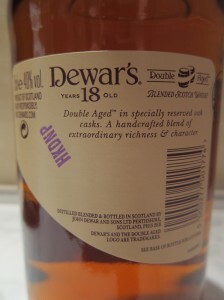 Dewar’s 我只喝過一款古董級的白牌和較舊版本的十二年陳, 酒質不錯的, 現在喝其十八年陳, 看看又如何. 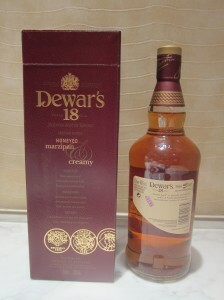 值得一提的是, Dewar’s 威士忌的 Double Aged, 即是在原酒在大酒桶調合後, 會陳年多一段時間後才進行裝瓶工序, 旨在令調合更和諧. 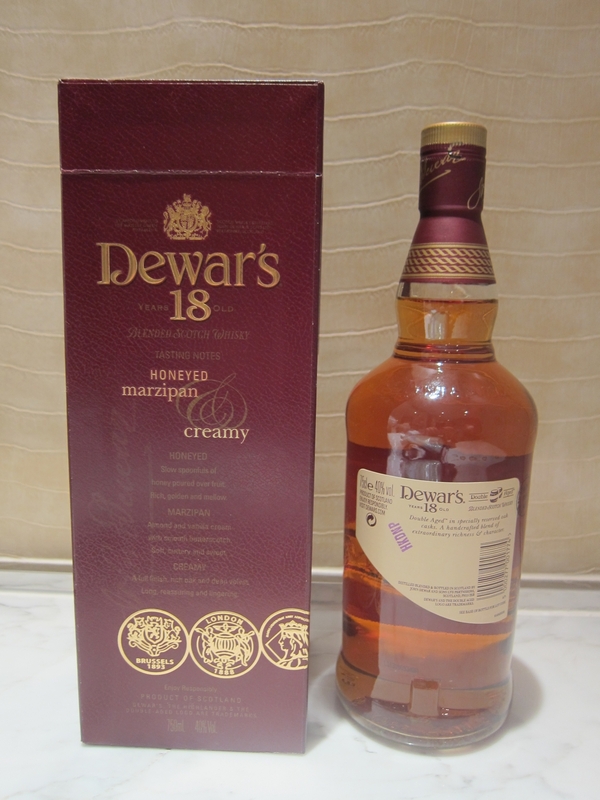 I don’t understand why the name in Chinese of the whisky brand Derwar’s is called “Emperor". Whatever, Springbank is not on “Cloud Top", there is no “Knight" in Highland Park…. 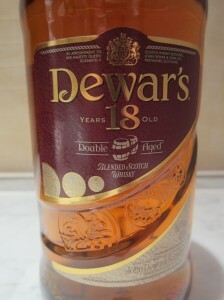 Back to the Dewar’s whisky, I did have tried an “antique" White Label and old version of 12 years old. 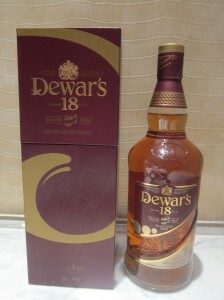 Let’s try their 18 years bottling. It is noted that the Double Aged of Dewar’s whiskies. It means that the ingredient whiskies blended and age in vat for an extended period to purport for harmony blending. Conclusion: Very soft and smooth, balanced sweet, easy to drink but not mean flat and plain, seducing you glass after another . It is a successful blend whisky, not profound yet detailing, approachable and pleasureful, very good whisky.